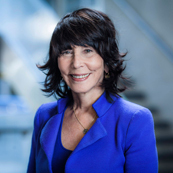 Ellen V. Sigal, PhD, is Chairperson and Founder of Friends of Cancer Research (Friends). Friends is an advocacy organization based in Washington, DC that drives collaboration among partners from every healthcare sector to power advances in science, policy, and regulation that speed life-saving treatments to patients. During the past 20 years, Friends has been instrumental in the creation and implementation of policies ensuring patients receive the best treatments in the fastest and safest way possible. Dr. Sigal is Chair of the Board of Directors of the Reagan-Udall Foundation, a partnership designed to modernize medical product development, accelerate innovation and enhance product safety in collaboration with the U.S. Food and Drug Administration. She serves on the Board of the Foundation for the National Institutes of Health, where she chairs its Public Private Partnerships Committee. In 2010, Dr. Sigal was appointed to the inaugural Board of Governors of the Patient Centered Outcomes Research Institute (PCORI) as a representative of patients and health consumers and was recently reappointed to another six-year term. Additionally, in 2016 Dr. Sigal was named to Vice President Biden’s Cancer Moonshot Blue Ribbon Panel, to the Parker Institute for Immunotherapy Advisory Group and joined the inaugural board of advisors for the George Washington University’s Milken Institute of Public Health. She also holds leadership positions with a broad range of cancer advocacy, public policy organizations and academic health centers including: MD Anderson Cancer Center External Advisory Board, the Duke University Cancer Center Board of Overseers, and The Sidney Kimmel Comprehensive Cancer Center Advisory Council.